Im sure most people have been to Ikea at least once. There are two things that strike me about Ikea every time I visit and I think we fundraisers can learn from it. Firstly they never (ever) miss an opportunity to remind you of the great stuff they have available. When you walk in the front door they are displaying beds and household goods, and you arent even in the household or bedroom area. When you do get to those areas they are showing you stuff for kids or kitchen items. Then at the check out they are reminding you of the meatballs that you ate in the canteen, and offering you the chance to take them home!! Secondly Ikea don’t want you wandering aimlessly around the store, they want to show you the best way to move and get the most out of your experience, so they direct you around their store. This is the Ikea Approach and I think that fundraisers need to remember this when thinking about their organizations interactions with donors. Of course the Ikea approach isn’t flawless and one area where Ikea can learn from us is the follow up and post shopping experience. I have never once had any communication from Ikea after a trip there, they have never thanked me, or checked that the flat pack experience worked out ok.
Debbie Deegan was awarded International Person of the Year andat the Rehab People of the Year Awards last year and she decided to capitalize on the opportunity (it’s a televised ceremony) and developed the charities first text donation campaign, the TV audience was asked to donate €5 to To Russia With Love by texting the word CHILD to 57800. In the first 24 hours 14,000 people donated!! They have since run a number of campaigns by text, each one ongoing! You can also subscribe to donate 2 euro per week by texting TRWL to 57802 and every Friday you receive a text thanking you for your ongoing support, this brings in a couple of thousand a monthweek, which isn’t bad going at all. A £1 text donation through Three results in 95p going to charity, but only 80p of the same donation through T-Mobile reaches the good cause. T-Mobile passes on 90 per cent of £3 and £5 donations. Charities receive 90 per cent of money donated through O2, Orange and Vodafone, and 89 per cent fromVirgin. Operators have up to now waived charges for big charity campaigns such as Comic Relief and absorbed charges for charities supported by their corporate social responsibility strategies, but their fees have made it difficult for other charities to use text fundraising. O2 lowered its fees last year, with Vodafone, Virgin and Orange making changes this year so that more of the money was passed on. On average, 91 per cent of a £5 text donation given through any major operator now reaches the recipient charity. The campaign group’s leader, Joe Saxton, estimated that good causes could raise £100m a year through text donations in five years’ time. He said it would be interesting to see whether charities publicised the percentage of donated money they received from each mobile operator, which could put pressure on providers with higher charges to lower their fees, or stated the least amount the good cause could receive from a text donation. Louise Richards, director of policy and campaigns at the Institute of Fundraising, called for a fixed fee. “For donors, it’s really important to know that the majority of their money is going straight to the charity, not to the operators,” she said. I often talk about Impact on this blog and I was inspired recently by, what I considered to be a great example of Impact driven donations. I have followed the progress of the Grace iPhone Application for a few months now through Lisa Domican on twitter and her Irish Autism Blog. 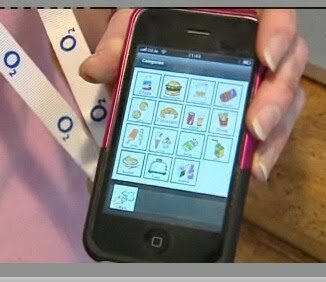 Autistic children have difficulty communicating, but this application on the iPhone helps children create sentences with pictures. This application opens a whole new world to the children and their families. However not every family had access to an iphone…and here came the campaign. Lisa started asking people on Twitter if they had an old iphone or itouch would they send them to her and she would send them to families. Then Lisa decided to ask people to donate so she could buy iphones for the families. I saw this ask and I thought, if I could get 20 people I know to donate 10 euros together we could buy an iPhone for one family. The impact of that just seemed really powerful, a little thing could make a huge difference. for just €10 we could, together, do something great and open a whole new world to these children and their families. Paul Dervan posted this last week, worth a read. I think a lot of charities do this well. Anchoring is interesting. When we are buying stuff, we’re overly influenced by one particular piece of information we are exposed to. There are lots of subtle examples. In their fascinating book Nudge, Thaler and Sunstein explain that charities can influence the amount donors give by how they present the donation options. People will give more if the options are €100, €250, €1,000 and €5,000 than if their options are €50, €75, €100 and €150. Barry Schwartz gives more anchoring examples in his book Paradox of Choice. If you walk into a suit shop where the suits displayed are €1,500 each, and you see a nice suit for €800, this may seem like a good deal. But walk into a different store where suits are displayed at €500, and the same €800 suit seems very expensive. The pricing information is anchoring your views. 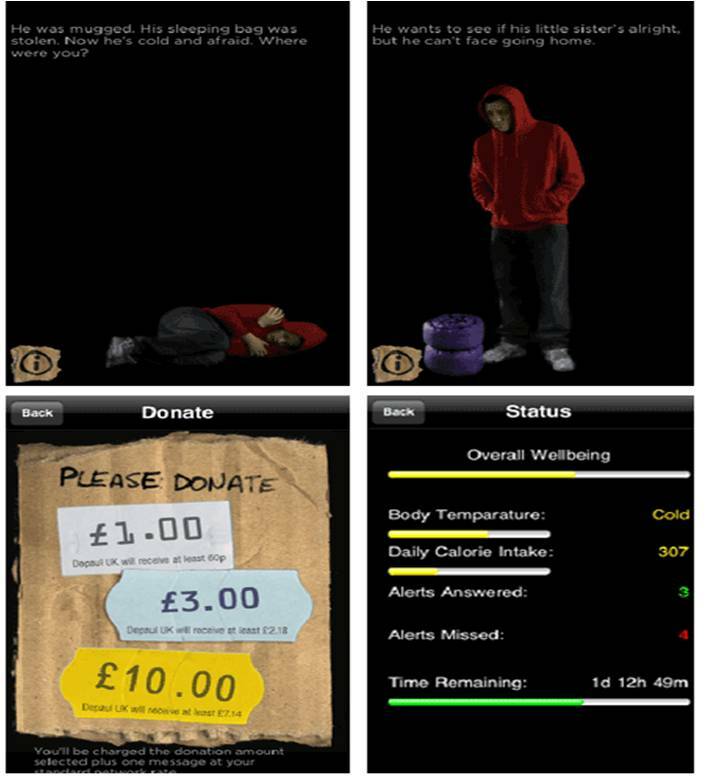 Controversial or Genius Charity iPhone App? Jonathan Waddingham posted an article on Civil Society on Tuesday highlighting this iPhone App from Depaul called iHobo. Since his post went live there has been some interesting comments on the site, and others, discussing the application, with some people calling it tasteless and others saying no, hang on this is really good. Jonathan has kindly allowed me to re-post his article for anyone who may have missed it. At the end I will give my thoughts and would be really interested to hear yours. Despite over 100,000s apps being built for the iPhone, very few charities have entered the world of mobile applications. That could be understood in the early days of apps, but since iTunes has had over a billion app downloads, it’s clear there’s a market. The charity apps that have been released so far are mainly been trying to be useful or informative. Good examples of these areBullyingUK’s app, (which puts their content in your pocket), WaterAid’s Toilet Finder app (that helps you find a nearby toilet) and the recently released JustGiving app (useful for individuals fundraising). Don’t get me wrong, they’re all great, and serve the purpose they’re meant to, but none of them make you sit up and think differently about a subject. 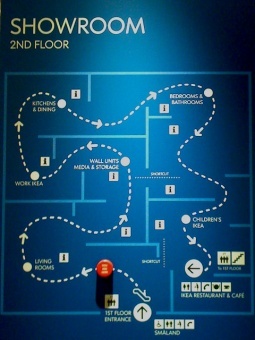 This is where the iHobo app, built by Publicis London for Depaul UK, comes in. This app puts a real homeless person in your phone for three days, and uses the technology of the iPhone to make a subtle, but immersive experience. You see, your homeless person sends you messages (using the iPhone’s push notifications) every so often during the three days, and if you respond and give him a sleeping bag, money or a sandwich, he’ll be ok. If you ignore him, he might not find a place to sleep, be offered drugs or go hungry. You can check on his overall wellbeing at any time to see his body temperature, calorie intake and how many alerts you’ve missed. In a way, it’s like the Tamagotchi pets that were so popular a few years back –give them attention and they thrive, or leave them alone and they suffer. But it’s also nothing like Tamagotchi, as you grow strangely attached to your hobo as the days go on, and you respond to the calls for help and feel good as you see him get along ok thanks to your help – like it’s a real person, not a toy. Another clever feature of the app is the donation options – as they’ve not tried to accept donations within the app, nor send people off to a website to make donations (which aren’t always optimised for mobile either, but that’s for another blog post), but include options to send a text donation. It’s a very simple way of getting around the app donation issue, but very effective. I’m surprised no one’s thought of that before. Plus, they show how much of the text donation goes to the charity, a good nod to transparency. But back to my hobo. I ignored him last night, and when checking on him this morning, I found out that he’d been mugged. I genuinely felt bad. And this is the crux – this app makes you feel something. Yes, it might make some uncomfortable and argue that it’s belittling the plight of the homeless, but that’s what I like about it. The best charity appeals, for me, evoke an emotional response. They challenge you to think differently about a subject, and for me, that’s why the ihobo is a fantastic charity app. So what do I, for what its worth, think? Well I think this is great. Ok I think there are parts of it that maybe they got wrong, ie the name of the application, iHobo, maybe misguided. But outside of that I think this is a great use of new technology, I think it is bringing a very real problem to a new audience. It is bringing the real issue of homelessness to the virtual world. There was one great comment on the video, I could walk past a homeless person, but couldnt ignore my phone. Its incredible to think thats the reality of our world, but it is, we are consumed by our phones, and now Depaul are challenging this. I can’t download this application (im in Ireland) so I would encourage as many of you as possible who can to download it and then share your comments. Ask Direct are hosting a seminar ‘An Introduction to In Memoriam and Tribute Giving’ on Thursday 27th May in the Morrison Hotel, Dublin, costing €75. The session will be led by Kevin Kibble, one of the UK’s foremost experts on Tribute and In Memoriam fundraising. In memoriam fundraising is one of the most underdeveloped areas of charity fundraising, yet when implemented successfully it delivers both significant income for the charity and a valuable focus for grieving donors. Many can find its effectiveness and donor-centric methodology difficult to grasp. This valuable fundraising tool is often mistakenly seen as being too intrusive – yet donors tell us the opposite and can in fact become your most passionate supporters. To book now email your name, organisation and address to learning@askdirect.ie.